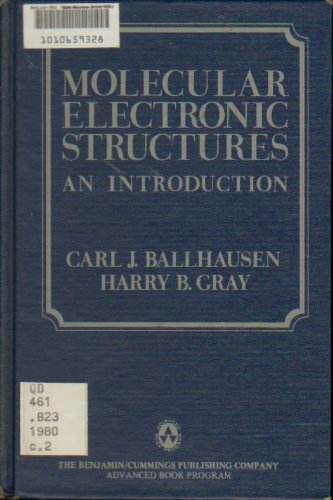 The present book is an introduction to molecular electronic structural theory. It is aimed at students who have reasonable familiarity with differential and integral calculus and are beginning a study of the physical description of chemical systems. The authors concentrate on the description of ground state electronic structures, or, in other words, the principles of chemical bonding in molecules. Contents: Basic Quantum Mechanics; Basic Mathematical Review; Molecular Hamiltonian; Two-Electron Systems and Spin; Hartree-Fock Approximation; Molecular Orbital Theory; Correlation Energy; Coupled Cluster Approaches; and more. The text introduces the basic notions of computational quantum chemistry, which allow to explore reaction mechanisms and explain observations of laboratory reactions. Methods for quantum chemistry can also be applied to solid state physics problems.